Go beyond basic scheduling and time tracking! 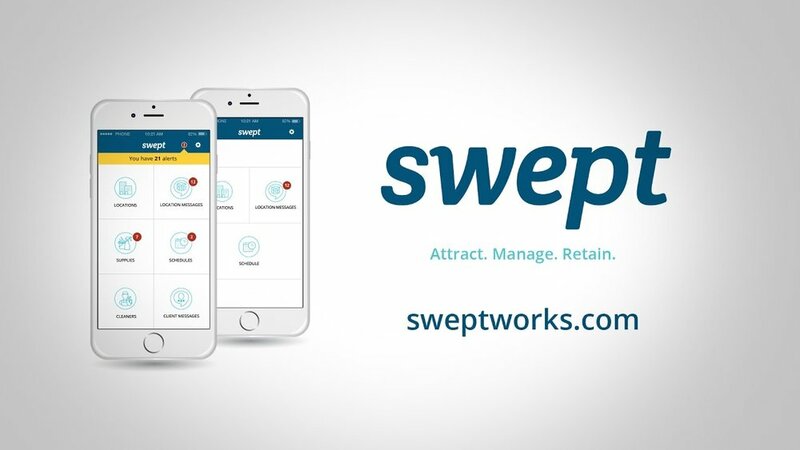 Swept helps save you time so you can win more contracts and grow your business. 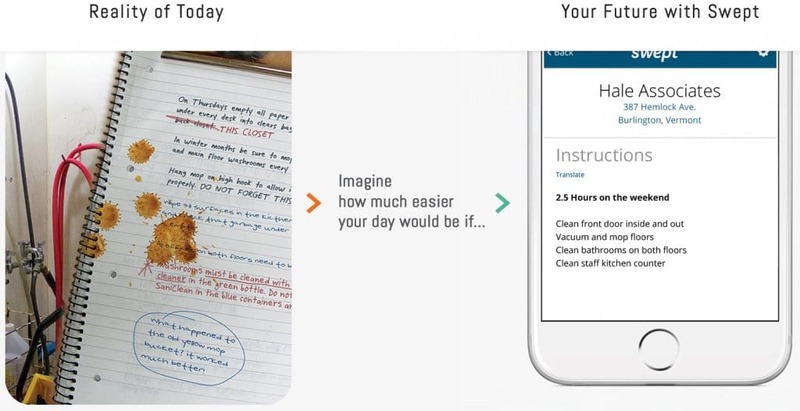 Our location-aware GPS allows cleaners to clock in anytime, anywhere, from their mobile device. And it's payroll ready. With Swept you can easily view schedules by location or cleaner. 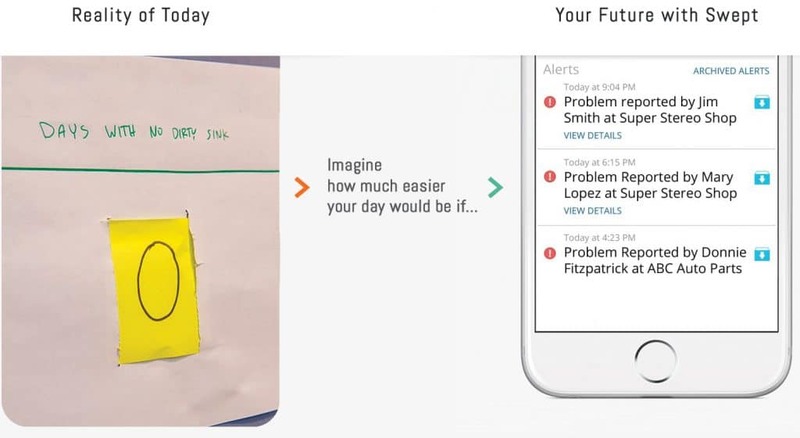 And you'll get smart alerts and automatic reminders about jobs. Inspections are easy to setup, highly customizable, and include walkthrough checklists. They can be done remotely and on mobile. You can give location-aware instructions - with multi-language support - all in an easy to use mobile app. Swept provides your team with a clear record of who reported problems, and when. 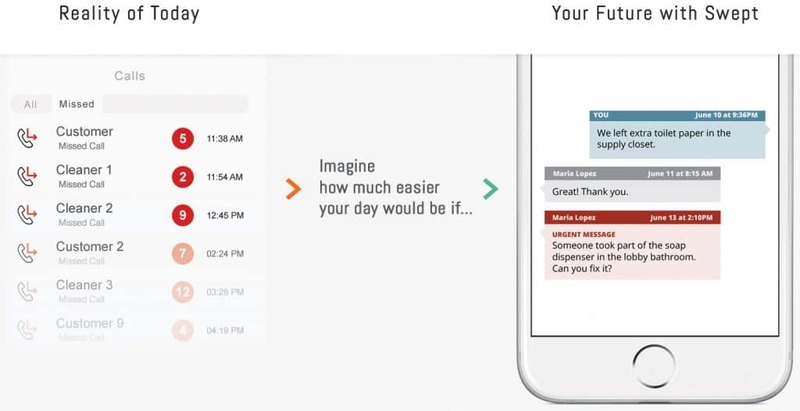 Identify issues fast and manage, track, and resolve problems on the fly. With Swept, you'll never worry about supplies again. Easily order what supplies you need and manage all your supplies in one place. Looking for Janitorial Business Software? Swept can help. Speak with our team to learn more and let’s grow your commercial cleaning business! Looking for the best cleaning business software? Stop running around putting out fires, and start winning more contracts with smart, simple janitorial business software designed for your commercial cleaning business. Never let another cleaning contract fall through the cracks! Your competitors say they deliver quality, but with Swept you'll prove it. Swept provide a great way for your cleaners to stay connected to you. It provides your team a clear record of when and who reported problems, so no stone is left unturned. Better communication with your team makes them feel more supported and increases their productivity. Swept helps your team stay on top of their schedule and ensures that minor issues don’t turn into bigger problems. Ready To Grow Your Commercial Cleaning Business? Find out if Swept is right for your business in 30 minutes or less!